What’s more exciting than your wedding day photo session? 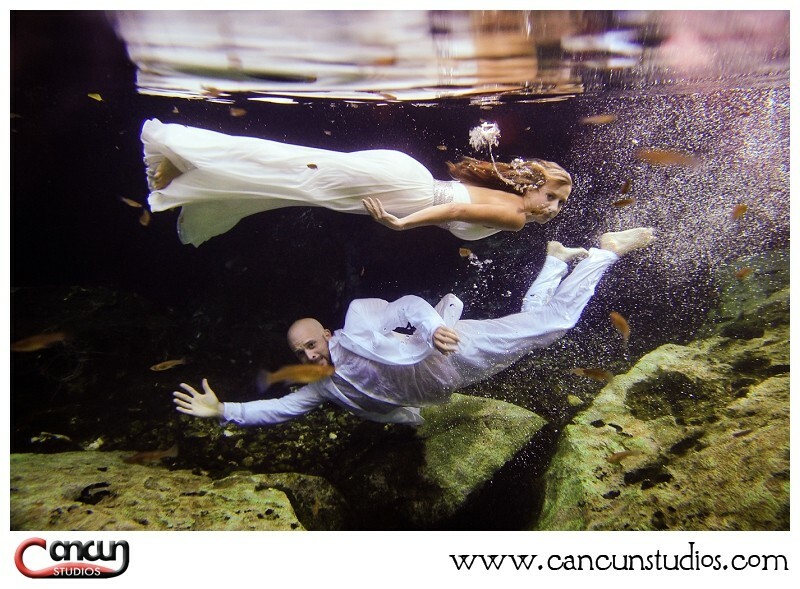 A next day Underwater Trash the Dress Photo session in a Cancun cenote! Adam and Jenna took the leap into the crystal clear waters of an exotic cenote after their wedding day in Tulum. This amazing California couple dominated the waters and gave us some outstanding photos! Love the look of the bride! So intense!